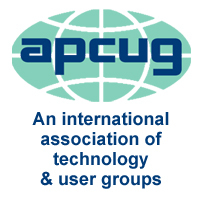 Greater Cleveland PC Users Group - General Meeting - Take It to the Cloud! General Meeting - Take It to the Cloud! It used to be we had one computer and we stored all our documents on it. Now we have multiple computers, phones and other devices where we store documents. And you can't always carry an up to date flash drive or DVD to keep all the devices in sync. Where do we go to keep all of it? To the cloud! Join us as we take a look at cloud computing. Spike Radway of Team Spike, will talk about Dropbox, which syncs your files across many devices and lets you shares files with associates. Spike will also talk about Evernote, a cloud based app, that gives you access to your information on a variety of devices. Bob Coppedge from Simplex-IT will talk about Microsoft Office 365, which is a cloud based version of their Office 2010 product. There may also be a presentation on Google Docs.